6 oz. 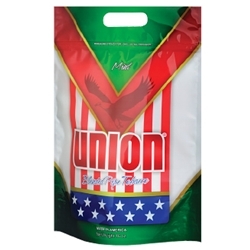 (170.1g) (0.375 pound) resealable pouch. Rolls approx. 200 sticks, or 1 carton. Union Mint Pipe Tobacco is made with the finest selected tobaccos and blended to deliver every smoker that distinctive American Blend taste.